18 October 2016 Considering Weight Loss Surgery? Considerations when pursuing weight loss surgery such as: timing, cost, dietary requirements, mental health readiness, type of team to look for, risks of surgery. This is a great post for those of you considering weight loss surgery or just want to know a little bit more about it. 16 October 2012 Can You Use Calories Tracking Apps If You Have Had Bariatric (Weight Loss) Surgery? Yes! Logging is an excellent way to stay on top of the eating and hydration protocol that your bariatric team (e.g. doctor and dietitian) has asked you to follow. However, you will not be using the typically recommended intake (e.g. DRIs/RDAs) for calories, fat, carb, and protein. 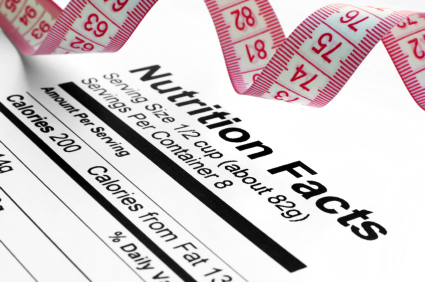 Instead, use the nutrient goals and intake guidelines given to you by your bariatric team. These are life-long requirements that are very important to follow so please do not confuse yourself by trying to follow values produced automatically from tracking apps. Use an app that allows you to customize nutrient goals. For instance, MyNetDiary allows customization of nutrient goals with Maximum membership.